The quality of your holster is of the utmost importance, not only does it protect your firearm but it also gives you peace of mind and the confidence you need in knowing your firearm is properly secured. These holsters are prized by those whom engage in single action shooting, competitive sports, and western mounted shooting competitions. 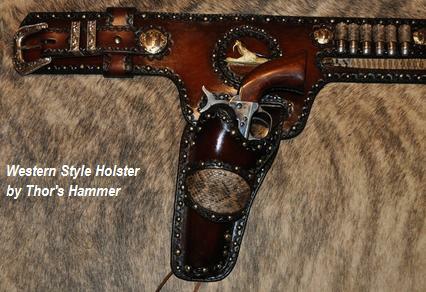 Western style holsters come in various configurations including drop leg and those created specifically for fast draw competitions. Available styling may include conchos and artistic border edging.